Home>>Critical Care>>Is sepsis always life-threatening? When sepsis strikes, it can be fatal. Death due to sepsis occurs as a result of poor blood flow and multi-organ failure. In India, 34% of people with sepsis die in the intensive care unit. Globally, sepsis is attributed to causing deaths greater than those caused by heart diseases and stroke combined. Despite these grave consequences, fewer individuals know about sepsis. Early detection of infection and timely treatment can save lives. What is sepsis or septicemia? What are the first signs and common symptoms of sepsis? Who is at higher risk for sepsis? How do newborn babies and children get affected by sepsis? How do the elderly get affected with sepsis? Is sepsis contagious? Can a person suffering from sepsis spread it to others? How do doctors diagnose sepsis? What are the criteria for terming a condition as sepsis? Can a person recover from sepsis? Sepsis is the overactive, toxic response of the body to infection through an overdrive of immunoprotective chemicals. Sepsis is a life-threatening condition in response to infections which may progress to extensive damage to multiple organs and death. Sepsis is commonly noticed in infections such as pneumonia, urinary tract infections, and digestive infections. The initial septicemia (blood infection or blood poisoning) if not managed in time, may progress into a serious condition called sepsis which may further lead to septic shock (extremely low blood pressure). In normal conditions, the immune system or self-defense system of the human body efficiently fights microorganisms including bacteria, virus, and fungi. In other cases, the chemicals released to fight the infection cause widespread inflammation throughout the body, leading to a cascade of events that culminates into serious organ damage and sometimes even death. The symptoms of septicemia depend upon the primary site of infection. Initial symptoms of the disease should be identified, and immediate medical intervention is required for treating blood infection effectively. Early identification of these warning signs also reduces the risk of developing life-threatening septicemia. Sepsis, if not properly managed, in the early stages may assume a severe form which is characterized by reduced functioning of various vital organs such as lungs, kidney, and liver. Circulatory collapse: A reduced flow of blood which affects the functioning of various vital organs. 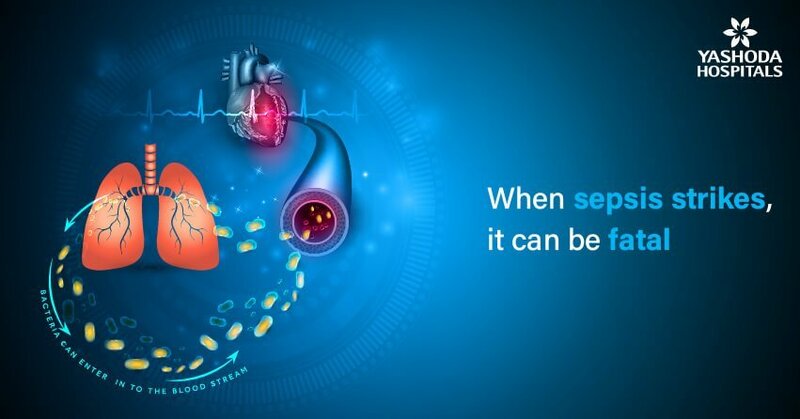 Organ dysfunction: During sepsis, the permeability of the blood vessels increases leading to the reduced blood supply and an increased risk of clot formation. This leads to dysfunction and failure of the organs. Septic shock: Unmanaged sepsis leads to septic shock which is characterized by dangerously low blood pressure. A reduction in blood flow and low blood pressure leads to organ or tissue damage. Inflammation: Highly aggressive immune system against the bacteria causes inflammation throughout the body and can cause organ damage. Serious inflammation that may lead to organ damage is particularly seen in those patients with a chronic disease, as the immune system of such patients is compromised. Acute Respiratory distress syndrome: This is also a serious effect of blood infection as the reduced supply of oxygen to the lungs and brain gets reduced. In conditions with a reduced amount of oxygen, the patient may experience neurological symptoms. Blood clots: Blood infection may also cause the formation of blood clots in various parts of the body. As the blood clots block the blood flow in a tissue, the tissue starts to die. Prolonged obstruction of blood flow to an organ may lead to permanent damage and organ death, often needing amputation. 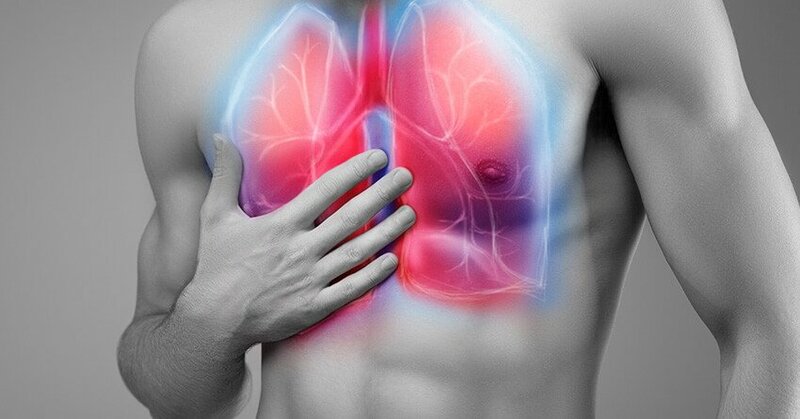 Lung: Lung infection and pneumonia are said to be the primary source of a blood infection. As the blood passes through the pulmonary artery and veins, the infection spreads throughout the body through blood. Gastric-Intestinal tract: Gastrointestinal infections also result in sepsis. Gastrointestinal organs susceptible to infection are stomach, intestine, and colon. Urinary tract: As the blood circulates into the urinary tract for filtration infection in the kidney may lead to blood infection. Blood infections: Direct blood infection such as infection caused by the insect bite also causes sepsis. Post-surgical Infections:You may also get blood infection after surgery due to various reasons. Urinary tract infection is a common feature after surgery which can cause sepsis. Further, cuts on your body and your internal tissues are exposed to the environment. This may also cause infection and sepsis if adequate precautions are not taken. Meningitis:If you are suffering from meningitis i.e an inflammation of the membrane or covering of the brain, the risk is high. Very old or very young individuals. Chronic diseases such as cancer, diabetes or hypertension. People diseases of the immune system like HIV/AIDS or those on immunosuppressant drugs. People undergoing care in high dependency units like the Intensive Care Unit (ICU). Presence of infection in the amniotic fluid or in the birth canal. Ill-developed organs in premature babies that make them susceptible to pneumonia, influenza and other infections. Infections from mother (group B streptococcus infection). Non-adherence to advised vaccination program. How do the elderly get affected by sepsis? ‘Elderly or older persons’ are at higher risk for developing sepsis due to a weakened immune system. Further, the organ dysfunction and organ failure are relatively at a rapid pace in the elderly as compared to young individuals. The time between the sepsis and presentation of symptoms of complications is less, thus leading to high mortality. Elderly or older persons are more prone to chronic diseases such as diabetes and hypertension, which is one of the risk factors for getting sepsis. Sepsis is a severe blood infection but is not contagious. It means that a person suffering from sepsis cannot transfer it to another person. Sepsis is a condition, the severity of which varies from person to person depending upon the immune system and associated risk factors. Sepsis itself is not contagious but since certain sepsis-causing types of bacteria, viruses, and occasionally, fungi and parasites called pathogens may be transferred. The transfer of the causative organism may or may not cause sepsis in the other person. Apart from medical history and physical examination by the doctor, the primary test for diagnosis is the blood test to identify severe blood infection. Apart from the positive test for the presence of infection in the blood, other tests are also used to diagnose the disease. These tests include white blood cell count, PaCO2 (partial pressure of carbon dioxide) and procalcitonin levels. The primary site of infection also evaluated. For example, if the infection is believed to be in the lungs, the chest X-ray is advised while in case of urinary infection, comprehensive urine analysis should be done. Individuals with septicemia require hospitalization and immediate treatment. The treatment method in the initial phase follows the “sepsis six” strategy. This strategy involves three treatments and three tests. Oxygen if the level of oxygen is low. Evaluating the function of the kidney through kidney function tests. Dialysis in case of poor kidney function. Breathing support such as mechanical ventilation. Recovery from sepsis depends upon a variety of factors. A primary factor is a rapid diagnosis and immediate initiation of the treatment. If the patient’s vital organs are damaged due to unmanaged sepsis, the recovery becomes difficult and the patient may suffer from lifelong disabilities. Sometimes aggressive treatment is required to make sure that there is a complete recovery. Recovery also depends upon the response of the patient towards treatment. Generally, in mild and moderate sepsis, there is a complete recovery. Sepsis is caused due to infection which is caused by bacteria, virus or fungus. Most of the times, the infection is caused by bacteria. Sepsis can be prevented by the elimination of risk factors like adhering to vaccination schedule, maintaining good hygiene and early diagnosis and treatment of primary infection, especially in high risk persons. Early treatment of infection is essential in order to prevent it from spreading in blood. Sepsis can be prevented in children by providing them with vaccinations for chicken pox, influenza, and hepatitis. Good hygiene includes taking good care of one’s health as well as activities like frequent hand washing. Further, any illness should be immediately attended and advice from a medical professional should be taken. Immunocompromised individuals and elderly should be provided with quality care and a healthy diet. Sepsis or blood infection is characterized by an overwhelming response of the immune system against the pathogens. This leads to inflammation all over the body. Sepsis is generally caused due to delay in the diagnosis of infection and its treatment. Diagnosis of sepsis is done by a detailed medical history, physical examination and a blood test. 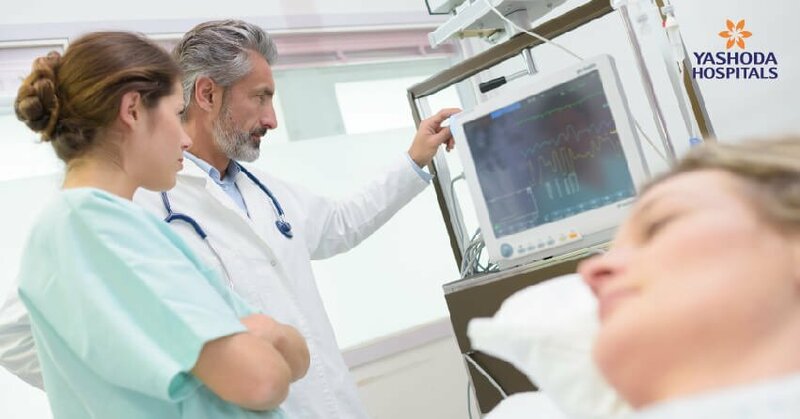 Parameters such as body temperature, breathing rate, heart rate, and blood cell count are also taken into consideration for diagnosing sepsis. Sepsis is a serious condition and it should not be ignored. Even in absence of signs of organ failure and a timely diagnosis, the chances of death may be as high as 15%-30% and in case of severe sepsis, the chances may even be as high as 40%-60%. Thus, in case of any signs or symptoms of any infectious disease like wound infections, pneumonia, meningitis immediate medical attention should be sought. Early treatment of infections can reduce the chance of developing sepsis, especially in high risk groups like children, elderly, & immunocompromised individuals. great information .. iam always fallow yashodha hospital blog .. i learned so many things in health issues.they saved my sister daughter life .. thanx to yashodha hospital. Thank you for the feedback. We are happy that the information we provide is useful for you.